VoomaGo is the story of friendship, discovery, and cultural exchange. Antimo, my friend from Italy took my family and I to his hometown in Puglia and shared the love of his native land and life’s experience with us. Not a single time during the entire trip did we visit a museum or national monument. Instead, this life changing vacation had us actively engaging with the real locals and their customs. We learned what it was like to live like Italians for two weeks. From harvesting grapes, to cooking in a wood-fired oven in the country, to fishing for sea urchins off the coast of the Mediterranean Sea, our vacation was filled with amazing experiences that we never would have had access to if our friend had not been with us. His insight into the culture was something we couldn’t buy nor find easily on our own. It came through our friend who so generously took us into his community. If you want a truly memorable travel experience full of uniquely personal stories, cultural insights and unforgettable moments, go beyond the museums and tour buses. Depend on the trusted Locals from VoomaGo and travel with Antimo! 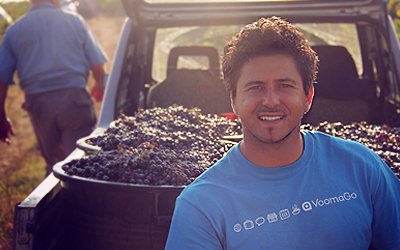 VoomaGo is the happy medium between all-inclusive travel tours and rugged do-it-yourself traveling. Consulting with Antimo will give you a leg-up on the logistics or connect you with locals in your travel destination. Antimo will help you lessen the logistical headaches, such as how to get around town and avoid tourist traps, select must see places, suggest length or time while also providing you with unique opportunities to really delve into the local atmosphere. The world is truly my playground and it has been since leaving home (Manduria in Southern Italy) at the age of 16. The love of languages and diversity has led me to live in different countries, UK, USA, Brazil and travel to many more. To date I speak six languages and still hoping to at least learn one more. My work experience in events planning, hotel and restaurant management, diversity, and leadership development have all contributed to clarify and identify my passion: Experiential Travel. I am proud to have left the corporate world behind to dedicate myself to VoomaGo and to transform the way people travel. I am a people person and chose to place human interaction and meaningful connections at the center of what I do. I invite people to experience the world not as tourist but as travelers, traveling through space, time, relationships and cultural values. Each and every place I’ve visited has brought me joy. Yogyakarta and Ubud in Indonesia stand out the most; the hard working farmers, the sense of duty and hospitality toward visitors, the eclectic markets, the colorful Batik, the lotus flowers, the morning rituals, and the beauty and warmth of its people. While soul searching at age 40, I tried to hone in on the reason I was brought to this earth and what my contribution to life needed to be. I want to live a happy life but I also desire to give, inspire and affect others positively. 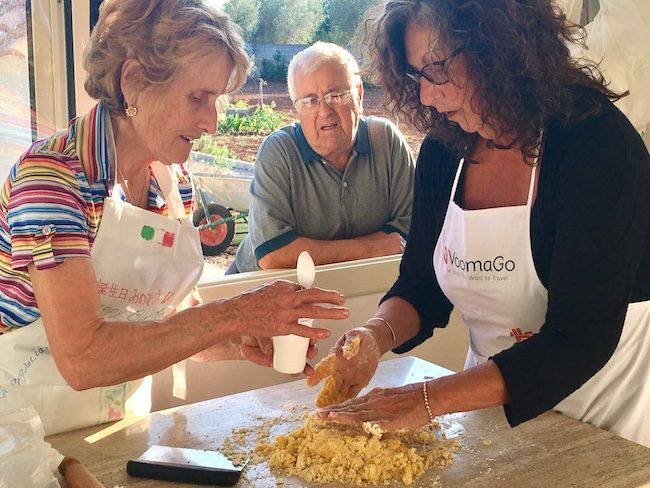 When my friend Tyson let me know that I changed his life when he and his family visited my hometown in southern Italy, he opened my eyes to how natural I am at creating sensational authentic experiences for people, and it was he who inspired, supported, and encouraged me to create VoomaGo.